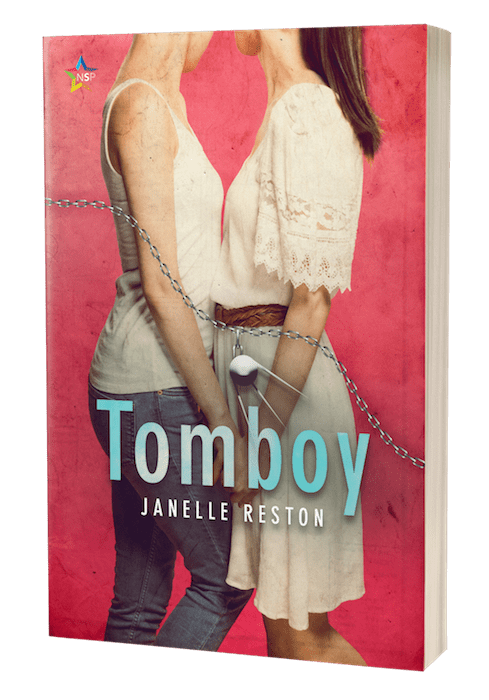 Learn more about the context of Tomboy by reading through Janelle’s posts about the 1950s. This was a lovely story. I really loved Harriet, she was funny and sweet and I liked that she wasn’t your stereotypical girlie girl even though most people might not have noticed. She had a supportive family and a dad that was the kind most girls want. Jackie was a tomboy but she was a lot more than that. She had a mind of her own and didn’t listen to what others thought of her. Again I loved that she has a mother and an uncle that understood and supported her. While there was a touch of angst to this story it was a very sweet story of two young girls who grow up friends and eventually fall in love. Tomboy was published in 2016, but went out of print when its publisher closed. An expanded and revised version, almost twice as long, is set for re-release March 19, 2018 from NineStar Press. Order directly from NineStar press to receive the book March 15—three days early! Or sign up to get notified when Tomboy becomes available at e-retailers everywhere. Yes! Email me when Tomboy is released! You’ll also get updates about Janelle’s other new books.